Transparency International (“TI“) has issued guidance for anti-bribery due diligence in mergers, acquisitions and investments (the “Guidance”). The Guidance is intended to provide a practical tool for companies undertaking anti-bribery and corruption (“ABC”) due diligence in the course of mergers, acquisitions (“M&A”) and other investments. The Guidance builds on a consultation paper issued by TI in July 2011. This Guidance comes amid increasing prosecutions in the US arising from M&A activity. 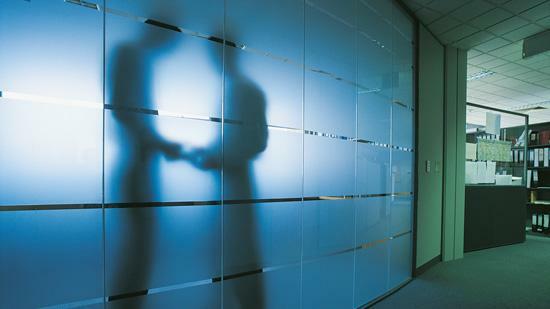 TI states that almost 50% of US corruption related prosecutions in 2007 were connected to M&A transactions. Further, the coming into force of the Bribery Act last year will in some cases make it possible to prosecute parent entities for the acts of subsidiaries (where the subsidiary “performs services” for the parent). There is also a risk (highlighted by the Ministry of Justice Guidance on the Bribery Act) that a parent entity would not be able to show that it had adequate procedures in place if it had not implemented proper policies and procedures to deal with the anti-corruption risks in its M&A and investment activities. These trends therefore throw into sharp relief the need to conduct due diligence – when appropriate, and in a proportionate manner – when considering new acquisitions and investments. In the Guidance, TI highlight the risks firms face if they do not conduct proportionate due diligence as part of M&A and investment activities. TI discuss in considerable detail the possible offences which purchasers face, both in the UK and US, as a result of either no, or inadequate, ABC due diligence. Aside from the risks faced by the target entity, i.e. prosecution, debarment, confiscation, reputational harm etc, the purchaser may in some circumstances face the risk of prosecution and confiscation. Whilst the scope for liability for the acquiring entity under the Bribery Act may in some respects be overstated (we do not agree with all aspects of TI’s analysis of the law), there are understandably a number of legal and reputational risks that a company would run in the event it acquires a target with a corruption “issue”. Liability for failure to prevent bribery – the purchaser is at risk of prosecution, where, either due diligence was performed pre closing which was inadequate, or alternatively bribery risks were identified pre-closing but insufficient steps taken post-closing to remediate and in both scenarios the bribery continues and is undertaken by an associated person of the purchaser. The degree of this risk will depend on the relationship between the newly acquired company and the acquirer: does the subsidiary perform services for the acquiring company, and would any bribe be paid for the acquiring company’s benefit? In such cases, liability would arise under the Bribery Act’s ‘corporate offence’, subject to the acquirer being able to demonstrate the adequacy of its procedures. The extent and nature of due diligence then becomes relevant in proving adequacy and/or in arguing that there is no public interest in the matter being pursued. Liability as a principal offender – if, post-closing, the purchaser knowingly joins with, encourages or conspires with the corrupt activities of the target and its employees or associated persons, then TI consider that the purchaser runs the risk of liability as a principal offender. TI is of the view that the purchaser will commit a bribery offence in cases where the diligence process has revealed bribery by the target and where the purchaser continues with the bribery or allows it to continue post-acquisition. Further, TI consider that liability could arise in a third situation, namely if the purchaser knows of continuing bribery and deliberately fails to conduct diligence so that the deal completes; this conduct could potentially be viewed as criminal intent to participate in continuing corruption. In our view it is unlikely that a purchaser would be liable for a primary offence in situations of this sort where it fails to act (i.e. an act of omission), although it is possible that a secondary offence of assisting or encouraging an offence could be committed where the purchaser intentionally fails to stop an act of bribery by the target post acquisition. Liability for historic bribery by the target – It is very unlikely that a purchaser would be liable either as a primary or secondary offender for pre-acquisition conduct. If, however, the purchaser obtains proceeds arising from this conduct then it could be liable as a money launderer under the Proceeds of Crime Act 2002. Such liability can be addressed through the making of an appropriate report to the authorities; although this will, of course, have the effect of drawing the conduct to their attention. Perhaps more significantly, the acquirer could be at risk of a Civil Recovery Order under the Proceeds of Crime Act in relation to any funds or assets it receives which represent property the target obtained by criminal conduct (i.e. the benefit of the target’s bribery, whether pre or post-acquisition). Further, the target could itself be criminally liable and this may have an impact on the new parent, i.e. the value of the parent’s investment may be impaired by fines or confiscation imposed on the target, civil claims against it, debarment, reputational loss, loss of senior management etc. Even though the effects of failing to undertake ABC due diligence could create lasting legal, commercial and reputational damage to a company, the Global Fraud Survey states that “despite the many recent examples of the perils of ignoring the fraud and corruption dimension of these assessments, a fifth of companies still do not consider it as part of M&A due diligence, and a quarter never consider it in a post-acquisition review”. In this respect, the Guidance is designed to increase awareness of ABC due diligence and provide practical information about the process and the types of issues which might arise in the course of such due diligence. The Guidance applies to M&A, private equity investments and other types of investment activity. TI recognise, however, that the type of transaction and the size of the stake will have an impact on the purchaser’s ability and resources to undertake due diligence. That is not least because if the size of the stake or absolute value is small then the purchaser is less likely to have the ability to access information and/or influence the target’s board. The ability to conduct significant due diligence should not, however, be confused with the risk assessment exercise required for judging the level of due diligence required. At the end of the Guidance, TI poses the question: at what point does a minority investment become too small to warrant full due diligence? TI’s position appears to be that as there is not an exact correlation between size of stake and the possible legal risks for the purchaser the level of due diligence should be judged taking into account a number of factors. These are: the value of the investment; the percentage of ownership; the degree of influence over the target; the risks attached to the target – such as markets and sectors; the reputational risk; the legal risk; and the purchaser’s risk appetite. Size alone is, therefore, not the only consideration. In particular, TI points to the statement from the previous Director of the SFO that where bribery exists within a company the owners of a business may also be at risk of prosecution for money laundering or civil recovery. Whilst it is possible that civil recovery action could be taken against any (minority or majority) shareholders in an appropriate case, we broadly agree with, TI’s approach as regards minority stakes. In our view, where the proposed acquisition is of a minority interest, and as the value/size of that interest decreases, the level of due diligence required must fall away rapidly, otherwise the cost of the exercise as against the value of the investment becomes prohibitive. Other factors which may also be highly relevant are whether the size of the stake means that the purchaser will become a controlling shareholder; if so, this factor may outweigh the size/value of the holding. it recognises that due diligence is often a challenging and incomplete process as a result of time scarcity, lack of information and a misunderstanding of the costs of bribery risks. As a corollary to this, greater emphasis is placed on post-acquisition due diligence, where adequate pre-acquisition diligence is challenging. At the start of the process, senior management need to make a high level review of the target and the potential bribery risks. By contrast to TI’s suggested approach, in our experience such reviews are not usually undertaken by the board or senior management (at least, not in relation to all transactions), who may not be best placed from the perspective of anti-bribery expertise and/or engagement in the detail of the transaction, to make a thorough assessment. In reality, we would expect senior management to consider anti-corruption issues and ask for a review to be undertaken of the anti-corruption risks and the due diligence required as a result of those risks. In many cases the necessary information for due diligence may not be available – this does not remove the need for ABC due diligence (although there may be an effect on timing and whether this can be done pre or post completion). Timing- it is important to ensure that ABC due diligence is started early enough in the process. The information required for the due diligence process should be scoped at this stage and prioritised, and consideration given as to what is actually required and what is a “nice to have”! Consideration should be given to the question of what period should be reviewed. TI suggests 3 to 5 years. In our view, this issue should be reviewed once some of the initial due diligence work is undertaken. It may need to be lengthened, for example depending on the level of contracts, etc. This will include consideration of the target’s anti-bribery programme, identifying any significant exposures or anti-bribery risks and discussing these with the management of the target. A questionnaire may also be sent to the target for them to complete. Experts may need to be appointed, either legal, forensic and/or a risk consultancy. The guidance stresses that the “tone from the top” is the starting point for effective ABC due diligence. The guidance states that “[w]ithout a commitment to anti-bribery standards, the purchaser will be sending mixed messages to those engaged in due diligence, probably leading to a lack of rigour in the process. Similarly, mixed or weak messages may be sent to the professional advisers and targets“. What is the commitment of the board and top management of the target to countering bribery? This stage may involve analysis of documents in a data room, visit to countries of operation or the physical data room. The review may cover: the target’s markets and competitors’ activities, background checks on the business and key owners/directors and management, tone from the top, interviewing management representatives in key functions where bribery risks maybe prevalent (e.g. certain sales directors), external interviews and site visits (e.g. with customers, suppliers, industry experts etc. ), checks on how the anti-bribery policies have been implemented, and a detailed financial review. As a result, a detailed due diligence report will be prepared for the portfolio management team (or equivalent) to consider alongside other due diligence i.e. legal and financial. In our view, there is no reason that such an anti-corruption report should not be contained within the legal and/or financial due diligence reports (although the potential impact on legal professional privilege should be considered). Following the detailed analysis of the results, a decision will need to be taken about whether to proceed with the transaction. The proposal should include a review of the ABC due diligence, identified issues and mitigants. Where suspected or actual bribery is discovered during due diligence, it may be necessary to make a report to, or seek consent from, the relevant law enforcement agencies. For example, consent from the UK’s Serious Organised Crime Agency under the Proceeds of Crime Act might be necessary if bribery is suspected, to deal with any money laundering issues arising. The Guidance (unsurprisingly) also places some emphasis on the perceived benefits of self-reporting suspected bribery to the Serious Fraud Office. Even where it is possible to do so (given confidentiality constraints), this is an issue which, in reality, will need to be considered carefully and on a case of by case basis. The key here is that, if only limited due diligence was undertaken pre-acquisition, that needs to be remedied as soon as possible post-acquisition. TI suggests taking the steps outlined above in relation to pre-acquisition due diligence and doing so within a clearly defined time period (i.e. consider a 90 day plan). Reporting to the authorities may, in TI’s view, be required if bribery is identified (although, money laundering aside, there is of course no positive legal duty to report corruption). Concurrently with stage 5, integration and remedial work should be undertaken to bring the target in line with the purchaser’s policy (or otherwise to ensure that it has adequate procedures). The Guidance does include a very useful checklist as an aid to the due diligence process. As, however, ABC due diligence is a fact-intensive exercise, a separate risk assessment of each transaction will need to be undertaken at the outset, which may result in the adoption of bespoke processes, checklists and questionnaires. TI’s Guidance suggests that ABC due diligence is a key and core part of any due diligence programme. Prudent dealmakers are likely to be reassured by much of the content of TI’s new Guidance, which generally fulfils its objective of providing practical tips and information for those involved in corporate transactions. It forms part of a continuing trend of bespoke ABC due diligence being recognised as a useful tool, and being adjustable, in practice, in appropriate transactions. This article originally appeared on herbertsmith.